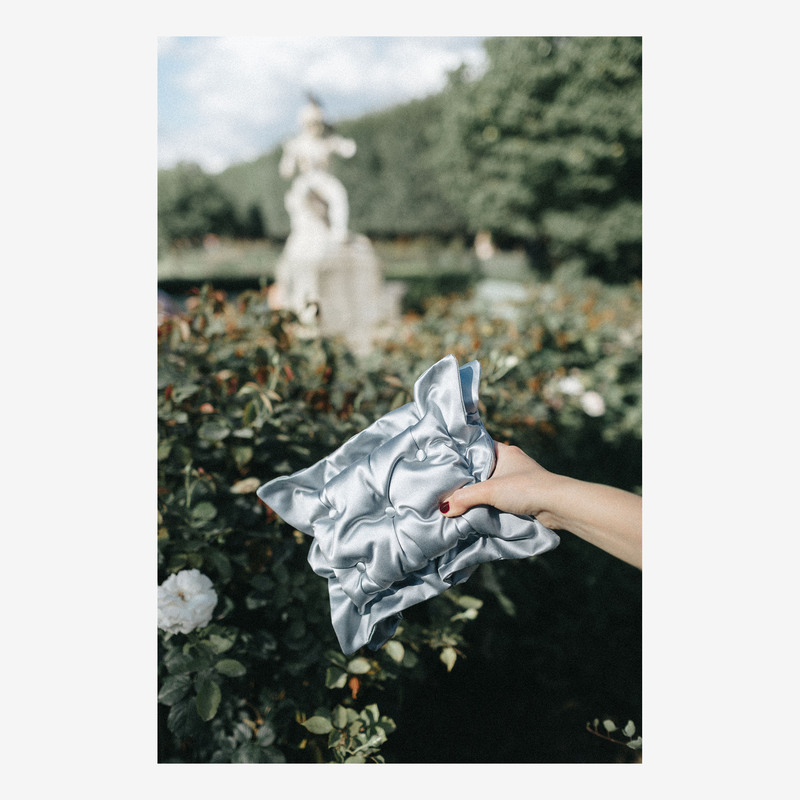 The Pillow Bag is our most iconic and best selling style. This time it comes in most luxurious silk that we import from our Italian partners, close to Lake Como. 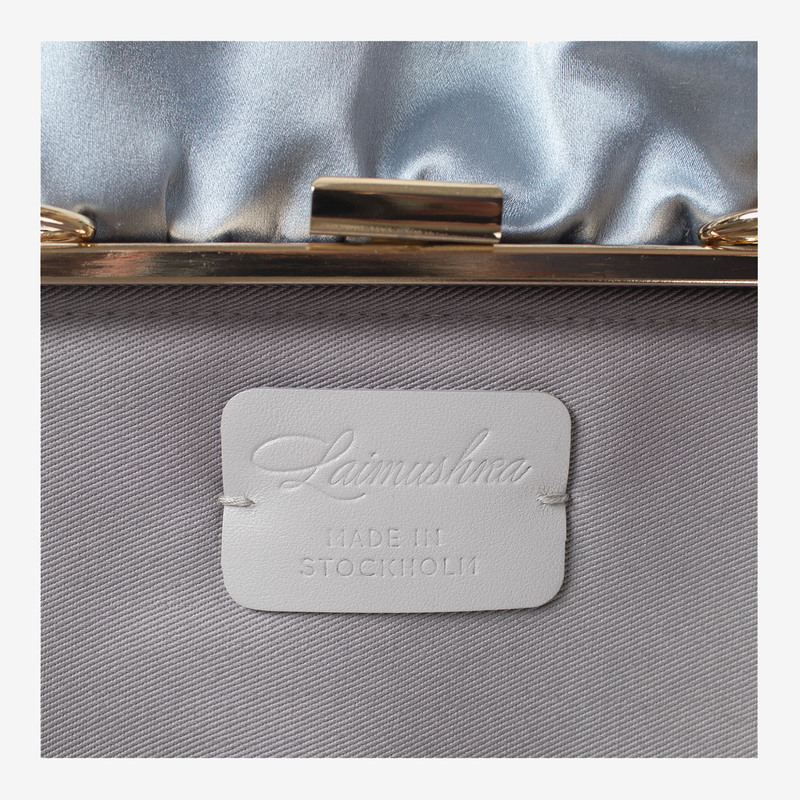 The bag is masterfully handcrafted in our Stockholm atelier. 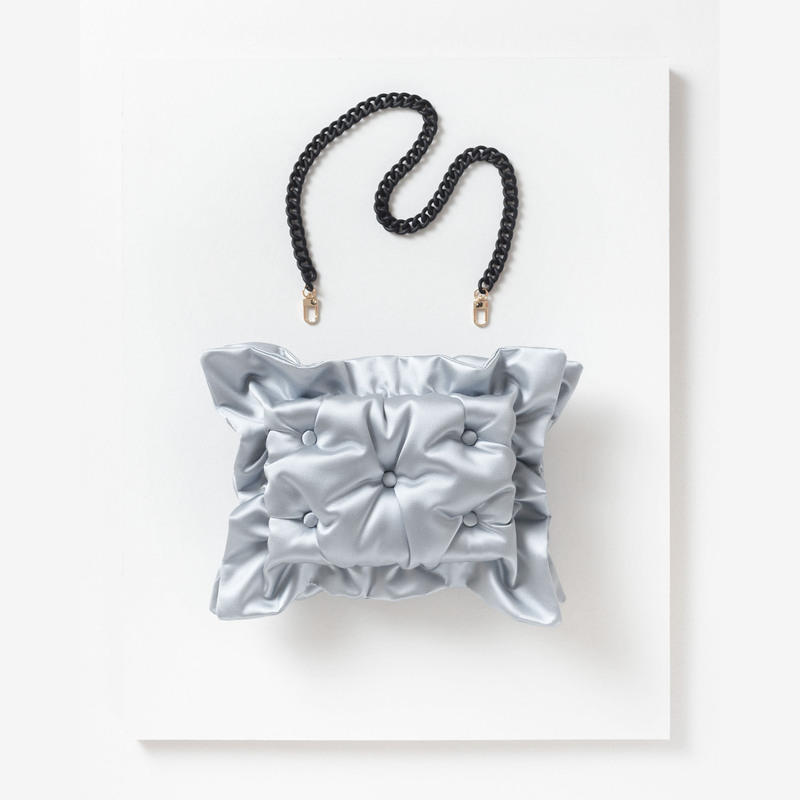 It takes up to 16 hours of a careful work to create this bag. 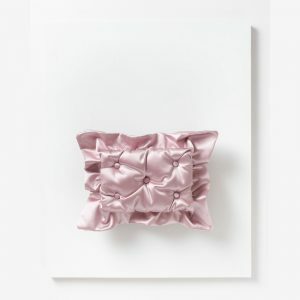 The Pillow Bag is a head-turning statement piece that easily goes together with casual and red carpet worth looks. The bag comes with metal chain-strap in black matte. Please choose the length you prefer and leave a comment on Order Notes: 105cm, 67cm or 26cm.